What are sealed road shoulders? Road shoulders are the asphalted or sealed strips of land at the edge of an asphalted or sealed road lane. Unsealed road shoulders are generally gravel or grass. Why are sealed shoulders important on regional roads? Sealed shoulders improve the safety of roads by providing a better surface to drive on when pulling over or leaving the road lane. On roads with unsealed shoulders, steering and braking is more difficult, so vehicles leaving the road at high speeds can lose control and crash more easily. 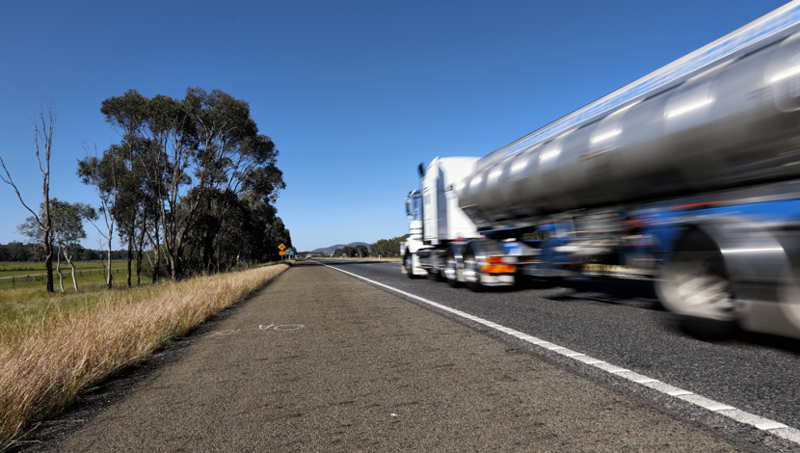 To reduce the risk of these serious crashes from happening, some of our highest-risk roads in regional Victoria with unsealed shoulders are being upgraded with sealed shoulders. These upgrades are being combined with improvements to line marking and new rumble strips, to reduce the risk of serious crashes by 20-30%. Sealing gravel road shoulders also help to keep stones and debris off the road. Why do sealed road shoulders have different widths? The width of a sealed shoulder depends on the category of road, the volume and type of traffic using the road, and the surrounding road environment. Roads that are used by large trucks or buses might need wider shoulders to make sure traffic can safely pass any broken-down vehicles stopped in the emergency lane or on the sealed shoulder. On roads that are popular with cyclists, sealed road shoulders may be made wider to allow for other vehicles to pass cyclists at a safe distance. Are sealed road shoulders wide enough for vehicles to pull over on? On some roads sealed road shoulders are wide enough for vehicles to pull over on, completely out of traffic’s way. There are, however, many roads across regional Victoria that have narrower shoulders for reasons including the road’s land reserve, road environment and traffic volume. If you need to pull over onto a narrow shoulder in an emergency, it’s important to put your hazard lights on. To pass a vehicle stopped on a narrow shoulder, it’s important to reduce your speed. To pass an emergency vehicle stopped on a narrow shoulder you must slow to 40 km/h. Are sealed road shoulders the same as bike lanes? providing room for slow-moving vehicles (such as farm machinery) to travel without blocking traffic. Why don’t all roads have sealed road shoulders? Historically, many of Victoria’s roads were built with unsealed road shoulders, with sealed shoulders mainly provided on roads with high traffic use. To improve the safety of our regional network, we’re working to seal more of our high-risk roads as part of Towards Zero. How can I pull over safely on an unsealed road shoulder? If you need to pull over, it’s safest to look for a place out of the way of traffic (such as a side road or driveway). If you do need to pull over in an emergency, make sure to reduce your speed before leaving the road and turn on your hazard lights. Where can I get more information on road safety upgrades in my area?